WESTBOROUGH - Suspected of stealing money from registers, the Target employee was being secretly monitored as she scanned in customers’ purchases on a recent morning. But the security specialists watching the cashier were not anywhere near the New York discount store where she works - they were hundreds of miles away in Westborough, conducting the electronic surveillance from a small, windowless room that is home to the Target Investigations Center. Behind an unmarked beige door beside racks of women’s sweaters in the Westborough Target, security technicians are on duty 24 hours a day, looking for organized retail thieves, crooked employees, and amateur shoplifters. They survey thousands of high-tech cameras in an effort to thwart increasingly sophisticated fraud at more than 440 of the chain’s stores. Target is at the forefront of this type of retail crime fighting. It has opened 14 investigation centers similar to the one in Westborough, as well as two forensics labs to enhance video footage and analyze fingerprints and a command center at the company’s Minneapolis headquarters. The retailer also operates one of the largest and most advanced networks of cameras - a system that automatically sends alerts when shoppers dwell too long in front of merchandise or roam outside stores after closing time. Target Corp. and other merchants expect a boost in sales this time of year, but they also anticipate more in-store theft. In 2010, US shops lost $37.1 billion because of criminal activity, compared with $33.5 billion the year before, according to the most recent survey by the National Retail Federation, a Washington, D.C., trade group. At least 40 percent of the fraud occurs during the holiday season, analysts estimate. Technological advances have given thieves more ways to steal, making it harder for merchants to stop them. Some create counterfeit cash using home computers and printers. Others employ jamming devices that interfere with the electronic tags attached to expensive or commonly stolen merchandise. Or they design their own UPC bar codes - configured to register absurdly low prices - to place over legitimate labels. And if criminals manage to get away with the goods, they can easily dispose of merchandise online, where buyers usually don’t know they are participating in an illicit transaction. The Westborough facility is equipped to fight back. For example, it helped catch a Massachusetts man who stuck his own bar codes on boxes of external hard drives for computers - instead of the legitimate price of $100 each, they rang up at just $20. Investigators pieced together the case after inventory counts revealed missing hard drives from Target’s Framingham store and video surveillance showed someone making repeated visits to discretely place fake codes on boxes. The investigative team then used a software program to search for frequent sellers of that specific kind of hard drive on online auction sites, which led them to their suspect. From there, State Police took over and made the arrest. But that one-man bar code operation pales in comparison with the machinations of organized retail crime groups. Sometimes run by drug gangs, such outfits can involve dozens of people who steal large quantities of merchandise at numerous stores and resell them on eBay, Craigslist, and other websites. According to a National Retail Federation report released in June, nearly 95 percent of retailers reported that they were a victim of organized retail crime in the previous 12 months, up 6 percent from the prior year. The recession also hampered businesses’ efforts to outsmart thieves. When consumers started spending less money, many retailers cut their budgets for what they call “asset protection’’ or “loss prevention.’’ Target, however, devoted more resources to the problem. In addition to opening new investigations centers, the company also dispatched more plainclothes investigators to shops and upgraded its camera system. Workers at the Westborough site can remotely control store cameras - roughly 40 to 60 in each location - to shift angles or zoom in on shady activity. Footage can be e-mailed to law enforcement officials even as crimes are taking place. The value of the center’s work was highlighted earlier this year during an attempted burglary at a Target in Ohio. When a camera alert revealed someone casing the building after 1 a.m., Westborough workers called police in Columbus and stayed on the phone to provide them with the burglar’s location once he broke into the store. 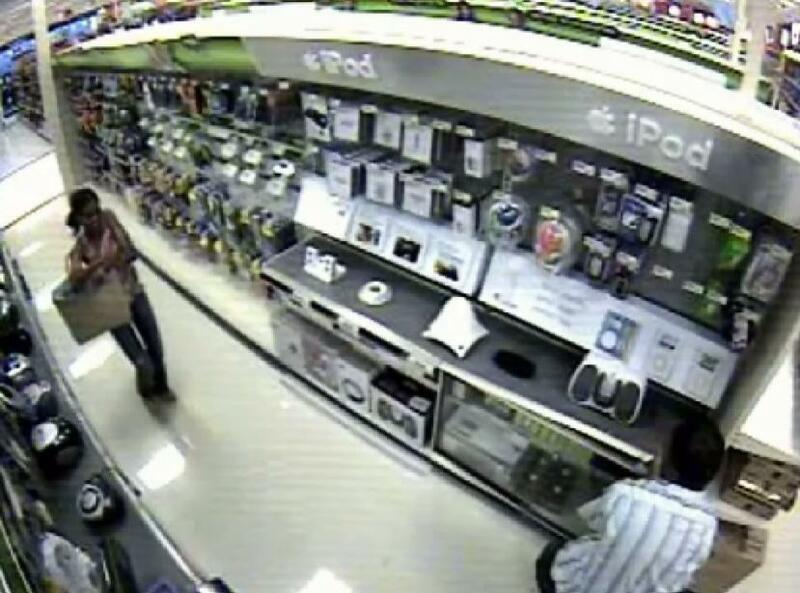 They watched live on monitors as police apprehended the would-be thief in the electronics department. The Corporate Command Center, or “C3’’ as Target insiders call it, uses cutting-edge technology to assist with crisis preparedness and response, including satellite imagery and remote surveillance of stores and distribution centers. In a separate part of the headquarters, Target maintains a forensics lab that can enhance video and audio footage, and analyze fingerprints faster than some police labs. The discounter even helps law-enforcement authorities examine evidence when they are working cases involving rival merchants. “Obviously, we are competitors, but what’s unique about loss prevention is that we work together,’’ said Mike Silveira, vice president of loss prevention at CVS Caremark, which is considering adding facial recognition technology to its advanced camera system. Justin Vuylsteke, head of operations at the investigations center in Westborough, said the company encourages collaboration among rivals because most organized retail criminals do not discriminate - they steal from everyone. Officials from competitors such as Walmart Stores Inc., Kohl’s Corp., TJX Cos., and BJ’s Wholesale Club Inc. have visited the Westborough facility in the past year, Vuylsteke said. Information flows both ways at Target - sales associates are encouraged to report suspicious activity to an internal company hotline that is monitored by the investigations center. Based on their video observations, Westborough staffers pass on tips and information to employees at individual shops. Security technicians compile alerts throughout the day and blast them out to stores to keep them aware of ongoing issues. For example, last week, a local man was suspected of stealing electronics from area Targets, so shops were put on notice. Alerts can include physical descriptions, license plate numbers, and the type of merchandise the suspect was scouting. There is usually a lot of activity in the Westborough center during this time of year, but apparently even criminals need an occasional break from the holiday season. For a few minutes recently, the alarms stopped ringing and the phones fell silent. Gaites, the investigative team leader, wasn’t complaining. “We like it when it’s quiet in here,’’ he said. Jenn Abelson can be reached at abelson@globe.com. Follow her on Twitter @jennabelson.